The Victorian artists who are best remembered today are the Pre-Raphaelites and their friend William Morris. The Pre-Raphaelites included Dante Gabrielle Rosetti, William Holman-Hunt, Edward Burne-Jones and John Millais. Rossetti's sister Christina, the poet, influenced the group and many women artists such as Rossetti's wife Elizabeth Siddal, Jane Benham Hay, Ford Maddox Brown's daughters Lucy and Catherine and others. 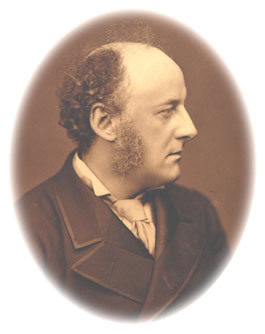 Millais was born in Southampton, of French descent. He trained at the Royal Academy and in 1848 he founded the Pre-Raphaelite brotherhood with his friends Dante Gabrielle Rosetti and William Holman-Hunt. Millais's painting "Christ in the House of his Parents" caused a storm when it was exhibited at the Royal Academy in 1849. Charles Dickens wrote that Christ looked like "a hideous wry-necked, blubbering, red-headed boy, in a bed-gown." The Pre-Raphaelites did not approve of the art of the middle and high renaissance and believed that the only truly great art came from the time before the 16th century Italian painter Raphael. marriage to Ruskin was annulled. Millais's other paintings include "The Boyhood of Raleigh" and "Autumn Leaves." Later developments in the group included the poetry of the Rosettis and the Arts and Crafts Movement of William Morris, (1834-1896) who set up his own company to design furniture and wall paper. He was one of the founders of the Socialist League and later in life he built his home Kelmscott Hall, designed by Philip Webb and furnished by works of their friends. He also started a publishing firm, the Kelmscott Press, to publish books according to the standards of medieval craftsmen. William Morris's designs for wallpaper and material are still very popular today.